Earlier today, Nintendo announced that a new Nintendo Direct broadcast will take place on 11th June, before the E3 Expo opens; the broadcast will focus on future Wii U releases. That isn't all that Nintendo has to offer, as it will also be holding a one-and-a-half-hour developer roundtable / Q&A on upcoming 3DS titles Pokémon X & Y. This will take place on the same day as the Nintendo Direct, and is scheduled for 6pm PT / 9pm ET / 2am UK time / 3am GMT. It won't be streamed online for all to watch, but it's standard for various events of this type to take place at E3 without being broadcast. Despite this, we can expect to see some interesting information and quotes from the session. Confirmed panelists include the Pokémon Company president and CEO, Tsunekazu Ishihara, and Game Freak director Junichi Masuda. We'll naturally keep our eyes peeled and bring you any revelations or fresh information as they emerge. Sweet! Who knows what sort of Pokesecrets might be revealed? It's starting to look like a great E3. Oh man I can't wait!!!! Things just get better and better, eh? This should be interesting. I'm really curious about the mechanics about the new generation more than anything. The game visuals are sort of crap in my opinion, reminds me of first generation Playstation One games. Is it so hard to utilize more power of the 3DS? We certainly saw this happening in RE Revelations. @belmont Have you seen the battles? Wii quality, imo. yes the graphics for pokemon are great! have you seen the anime? it never meant to look realistic so I think they are doing a fab job on XY. @C-Olimar I sort of disagree. Looks highly pixelated in my opinion... And they don't have to be realistic, they could be cel shaded. Eh, character customisation's been confirmed, so I'm happy even if there's very little news at E3. @belmont I have no idea what your talking about. Playstation graphics?Are we really going to compare the two? A common reply would be "It's just opinion, you jerk, respect it". I know it's your opinion, it doesn't mean I can't disagree. It really looks nothing like a Playstation game, did you see a low res video or something? @belmont Pokemon isn't a game that tries to compete in the graphics department either way(although they still turn out looking great if you ask me, especially what we've seen of X&Y and they'll only get better). I think some people are trying too hard to compare them to other series instead of comparing them to what came before. This is a huge step up from Black 2/White 2 and is shaping up really well. It's also a first for them to bring the main series into full 3D. I'm with @HeatBombastic in the 'what video have you been watching?' department. Take note that 3DS games in general look pixel-y until you get sight of them on the system itself. So 1 (or 2 depending on your veiwpoint of X+Y) game is getting its own 90 minute conference? Not too shabby. This doesnt look like any PS1 game I ever played. 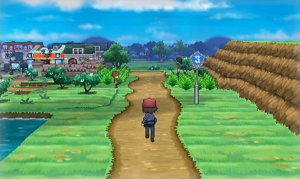 It does look like 2 Wii games - Pokepark 1 and 2. @HeatBombastic Of course you can disagree I stand in my opinion though, this game looks bad to me. In fact the only very good looking game on 3ds is resident evil in my opinion. There are some more like Castlevania but the handheld has more potential. 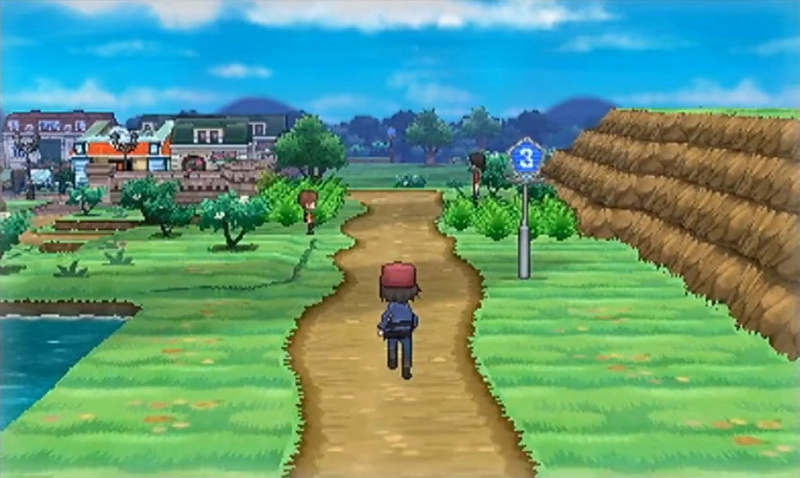 And of course I didn't see a low res video of Pokemon X, 3ds has more or less small resolution anyway. @Chriiis It is not unfair to compare Pokemon with other rpg games. I enjoyed black and black 2 but ds has better looking rpg games. As for 3ds I see pixelazation in many games, even high budget ones, and I speak for the system itself, not trailers. You still aren't seeing the final product though so you should at least wait for the release to make a final call. The pixel-y look seems like a bigger concern to you so it'll probably be even smoother come release. Compare what the original trailer showed to what the latest one does...and it's only been 4 months. We still have a few more before we get the best look at what to expect(not including the last for distribution and all of that). Other than that though, what is bad about it to you? Btw, they are using cel shading. I hope they take out random encounters. How about you just see rustling grass moving along here and there? Then different Pokemon could have different types of movement, like some might run away as you approach. I just really loved Dragon Quest ix since you could usually avoid a battle if you were in a hurry or didn't want to waste time fighting weak enemies in an area you'd been through earlier. I have a Vita and the screen is super crisp. But you know, i strangely like the pixelixation of the 3DS games it just feels like I'm playing a video game. I like high res for everything else including consoles but I'm gonna miss the days of having some pixels in the future in my handheld games. I guess it's because I started gaming with gameboy. I don't see what the problem is with pixelation, there will always be some pixelation of some sort in video games, until developers, TVs and graphic engines get past that hurdle, there will be pixelation. I am hugely excited for X & Y, I will be getting X as my brother will be getting Y, I think the jump to 3D is brilliant, I don't see why people should complain. I have been a fan of pokemon since the first generation and I have to be honest and say that whatever the games turn out like, it's gonna be better than what we've ever seen before, comparing pokemon to other RPGs is silly, you need to compare it to the previous games in the series to make the right judgement, so to all those nitpickers, shut up and judge it against other pokemon games, not series like Dragon Quest, Final Fantasy etc. All the screenshots and video that I see from these games end up looking beautiful! Please keep in mind that nothing we've seen so far is set in stone. I mean if you compare the premiere trailer with the recent one they released you can see just how sharper and detailed it's gotten. It even says that the footage isn't final in the trailer! But anyway it's Pokemon, they could still be using sprites and I'd buy this day one. This is gonna be great. I haven't played a Pokemon game since Diamond, and I plan on getting this. I gotta mark my calendar for this! The "pixelation" issue is actually called aliasing. It is not fixed by increasing resolution. The only way to fix it is antialiasing which drastically increases the amount of time it takes each frame to render. A few things to hope for: the battle selection screen, new features similar to the Pokemon Contests and more in previous generations, more Pokemon, and the rumoured 18th type for Pokemon. @Belmont Then don't buy it. Actually, just go die in a hole, I have no use for people with opposite opinions and they can be quite depressing to say the least. AHAHAHAHAHAAA! Maybe I should smack you around with a crowbar, we'll see if that straightens you out. @belmont That's harsh, considering you are also hitting Wind Waker and Spirit Tracks, which are very much like Pokemon XY's palette graphics. And yes, I have seen PS1's graphics. Pokemon XY is way better than those games. Don't judge the game by its cover, play it, then tell us what it really looks like. Sorry guys, I didn't want to start a war here I just wanted to state that this game and many others 3ds games could and should perform better technically. I thought that 3ds was not capable for games like Peace Walker for example but Revelations showed what developers can do with the console. And I clearly don't see what's so bad if someone doesn't like pixelated 3d models. Also we can and should compare pokemon with similar rpg games. Competition helps evolving. Is it fare to compare Final Fantasy 10 with 9 and unfair to compare it with Dragon Quest 8? Anyway if there is some easy way to import pokemon from the ds games (I have a complete dex) I will get X at some point and make better judgment for it. @Dolphinsquared Surely I didn't really liked these games very much but this is personal opinion and sort of off topic. @belmont Ugh, I'd hate realistic Pokemon. @belmont I agree with you - plus the Pokemon series has also underperformed on a technical level. 3rd Gen wasn't that great for GameBoy, and the DS games didn't exactly push the DS. @C-Olimar The Mario-cartoony style wouldn't fit either if you ask me. What we have now suits it really well. My only gripe really is how the people are designed but it still looks great overall. I do hope it turns out even more polished by the time they arrive though. I'd rather see a different look than having to follow another game's look anyways, even if it doesn't exactly push the system(not saying you were saying this, just a general statement). However, they could push more with this style.